I’m not even exaggerating when I say everything in Japan is delicious! We pretty much haven’t walked into any restaurant (whether by recommendation or by chance), that we’ve been displeased with. 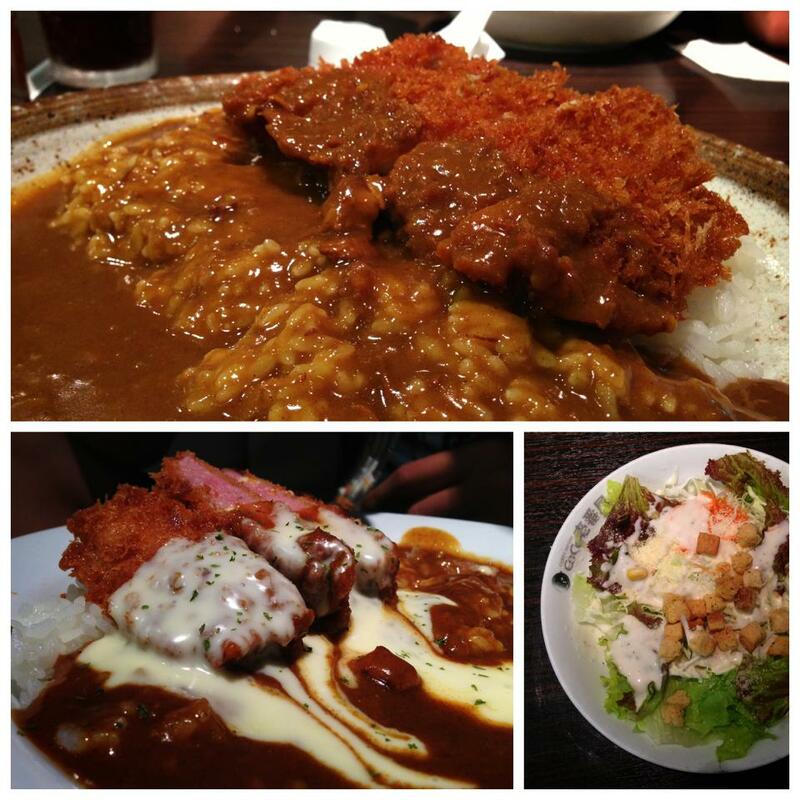 From yakiniku to ramen to curry even – everything is so oishii. This Chinese restaurant is nicely decorated, and the food is inexpensive and really good! With the listed prices, we didn’t have high expectations, but everything turned out delicious. I was particularly thrilled to see Peking duck on the menu! It wasn’t a whole duck like we’d get back home, but it hit a tastebud I hadn’t activated in a while – and it was good. 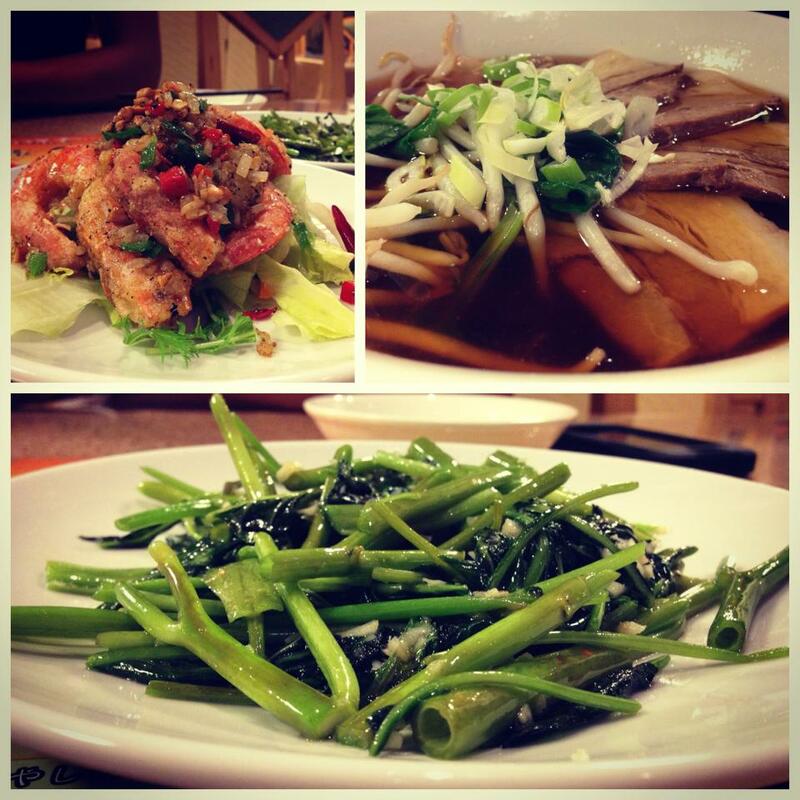 They also have a Shanghainese special menu at the moment, and the crab noodles are to die for! I hope they make it a permanent item. The eccentric exterior caught our attention, and the food is surprisingly good. Not knowing what we were getting ourselves into, we decided to try the restaurant anyway. Turns out, Bikkuri Donkey (strange name) serves a variety of burger patty steaks. That didn’t sound too enticing, but we’d already committed. Turns out, it’s really good! We topped it off with a Coke float and chocolate sundae to die for. This restaurant probably has a Japanese name, but everyone calls it Yakiniku (out the east gate), so that’s what we’ll call it. The food is so amazing. The meats are tender and flavorful, the soups are tasty, and the drinks are humongous! This was one of the first restaurants we tried in Japan, and it assured us that everything would be all right. How can something so simple taste so good? Ramen and fried rice will probably always be my favorite combination. When Clint reconnected with an old friend thousands of miles from where they first met, celebrations were in order. What better way than with dollar sushi? Sushi-ro’s conveyor belt system is so efficient, you wouldn’t think it’d be any good. But that’s so far from the truth. The basil salmon is yummy. I could eat 20 of those things. This has become our go-to restaurant for ramen. It’s close, it’s delicious, and how can you not love the brick-wall personality of the chef? This is probably everyone’s favorite mom and pop restaurant in Fussa – and for good reason. Obviously, the food is delicious, but the service is so personable and the owners are so adorable you can’t help but love them the minute you meet them. We wanted Chinese, drove around until we found one, and this is what we got. The coveted water spinach was exactly what I’d been craving, but didn’t expect to find it in Japan. What a wonderful surprise. The fried prawns were also a good choice. Clint was on a ramen binge, so he had to order it. It was all right there. Our appetite for yakiniku just can’t seem to be satiated. We ordered a bunch of small orders and had a feast. Different meats and marinades, scallops, and a new soup. All really good! This was another instance where we walked into a random restaurant, hoping for the best. We find out it’s another yakiniku buffet. For $20/person, ALL YOU CAN EAT meat and sides. Even the salad bar was delish! We tried a little of everything that looked good, and found one particular marinade we really liked. And after stuffing myself to the brim, I still managed to find room for 5 mini cream puffs. Worth it. Even before coming to Japan, we’d had people telling us that we absolutely must try Coco’s lest we lose all eating privileges for the duration of time. And of course, everyone here was always asking, “have you had Coco’s yet?! Have you? Well, have you? !” Fiiiiiinally, we decided to give it a try. Let me preface this by saying neither Clint nor I are big curry fans. But… Japanese curry isn’t bad! In moderation and with their crispy donkatsu, it was rather enjoyable. We’d driven by this mall numerous times, but didn’t stop in until recently. The food court serves all the typical dishes you’d find in any Japanese mall: ramen, udon, Chinese, Italian, and crepes/ice cream. We tried a little of this and that. Food is decent by Japanese standards. But certainly not bad for mall food! Wow! It’s a good thing I’m about to eat dinner after reading that, because I’m absolutely starving now haha! Great pictures there. Funnily enough I’m not a curry fan either, yet strangely had a craving for one when I was in Japan and ended up really enjoying their version.